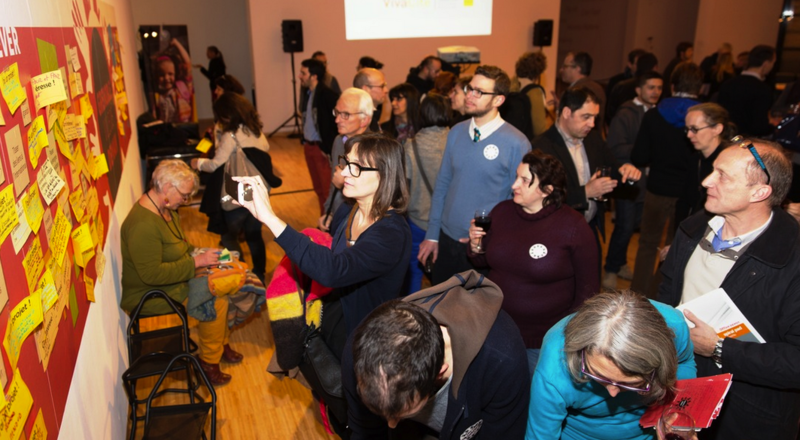 Last Tuesday evening, 26th of January, a big event gathered almost 200 people in Grenoble Museum to push city council’s initiative “Grenoble, ville de demain/Grenoble, city of tomorrow”. Tools and projects to increase Grenoble’s potential of innovation are provided: City-zen is one of those! Platform of sharing and anticipation, “Grenoble, city of tomorrow” is like a Swiss knife: multi-thematic and multi-tools to reach multi-audiences. Among these, a think-tank, a label, workshops and the will to animate a community (with a local social network) were presented during this event. Pioneering or challenging projects – like City-zen ! – are already included in: first, to use these tools, and then to benefit from dedicated partnerships.